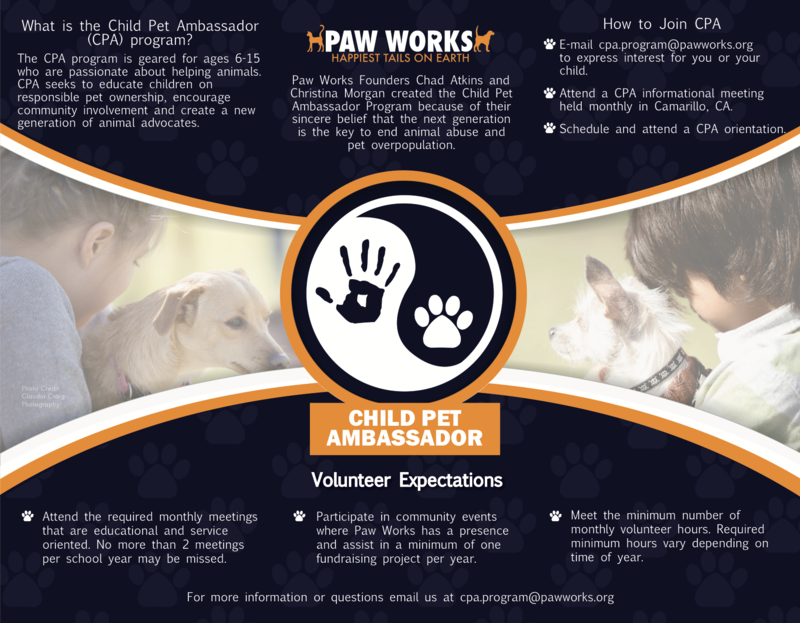 Our Child Pet Ambassador Program is an important part of the Paw Works mission to help shape how the next generation interacts with animals. It’s one of the ways we encourage community involvement in animal rescue and promote responsible pet ownership and care. 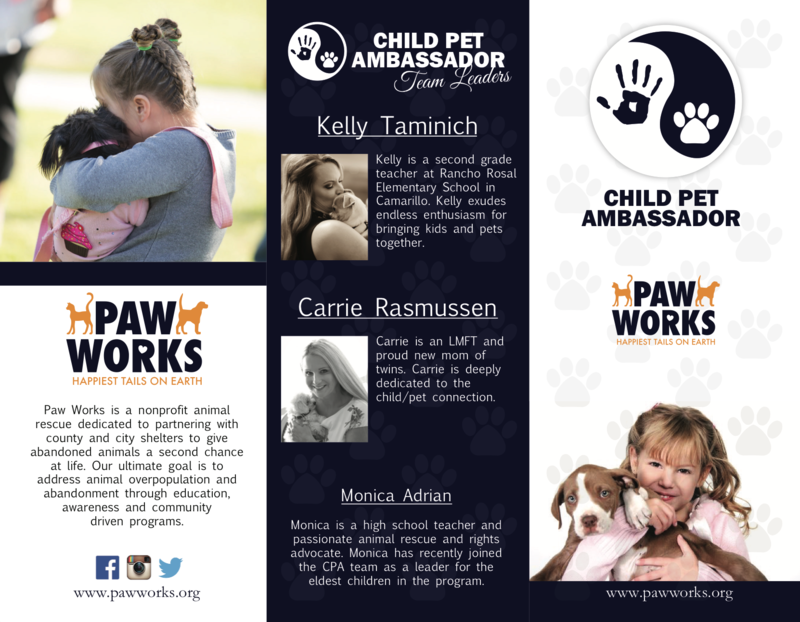 Children between 6 – 15 years old can participate in the work of the animal rescue community as a Paw Works Child Pet Ambassador. Opportunities include offering peer education in schools, speaking to small groups of similar age children at local events, volunteering at community based get-togethers, and creating unique ways to engage friends and family, and spread the word about animal rescue. For more information, please email: cpa.program@pawworks.org.